… fashion and glamour, elegance and fun but first of all, the sea. 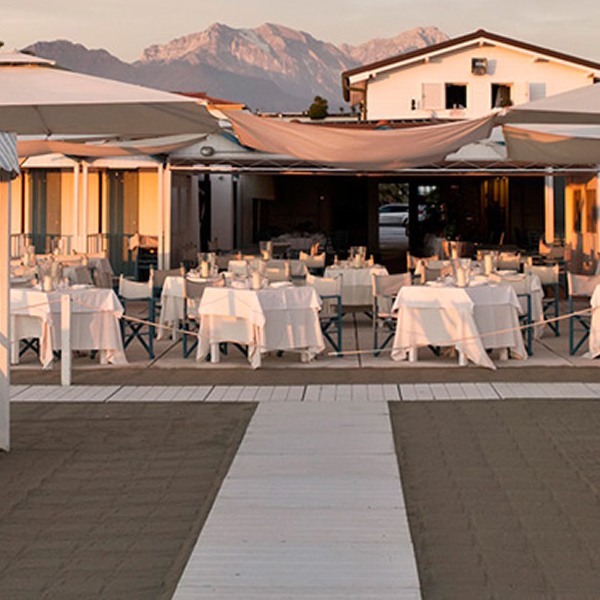 The Forte dei Marmi resort is known by all as a recreation cheerful and fun area on the Tuscan Coast in Versilia for spending a summer vacation, but the town traces its origins to many years before the tourist boom. The name of the city connects us straight to the marble mentioned in 1600 in the earliest town records, when Michelangelo Buonarroti marked the way for transport of marble from the Apuane Alps to the sea. It was precisely in those years that the first construction of the “marble warehouse” began. The village that was born after reclaiming the land developed around this first construction. 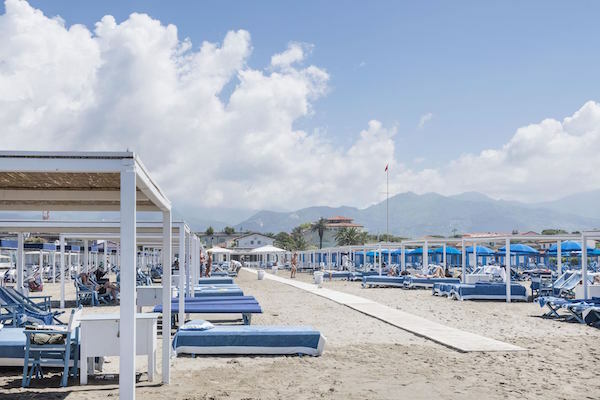 Only about two hundred years later, around 1800, Forte dei Marmi was recognized as a tourist destination and the Tuscan nobles built the first bathing establishments, which became the main activity of the place. The town became an independent municipality from Pietrasanta only during the first years of the 1900s and reached the peak of its splendor in the years 1960s, when it became the summer residence and exclusive destination of the most prestigious Italian families. Over the years, this small town has undergone many transformations to become the gem of Versilia. The old network of boardwalks has become an elegant passage, and the narrow streets are now pedestrian avenues lined shops of the most popular and famous labels in the world. 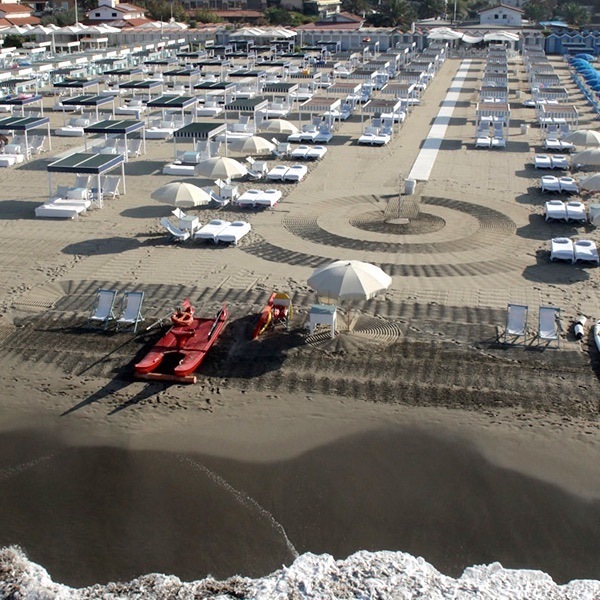 Forte dei Marmi is fashion and glamour, elegance and fun but first of all is the sea. The bathing establishments on the sandy coast of Tuscany offer comfort and impeccable hospitality to their guests and provide attentive and careful service. Those who choose to spend a vacation in Versilia Forte dei Marmi cannot fail to notice the many festivals organized in the area, such as the Festival of Satire and Caricature with cartoonists from all over the world, and the Jazz’n Forte Festival. In August, visitors must not miss the feast for the Patron Saint, Sant’Ermete, with an impressive firework display.